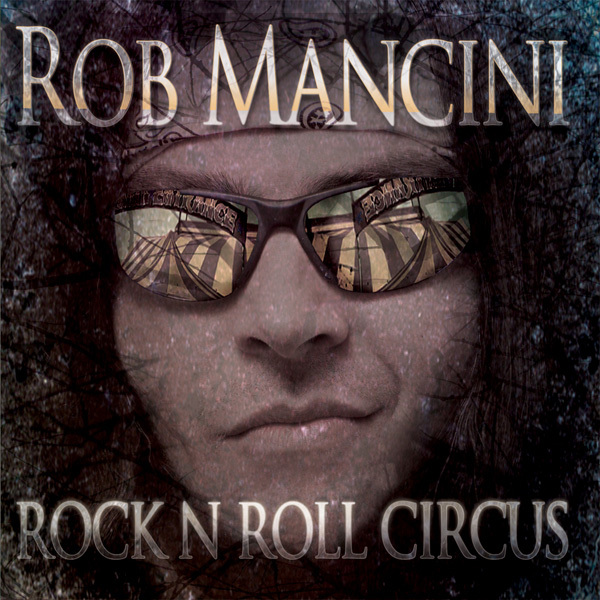 Let us get the moan over with Rock ‘N’ Roll Circus the new album from Rob Mancini. Just where are the clowns and songs about freaks and bearded ladies, as the title and opening track ‘Carnival Of Fools’ with its dark circus sound suggests? Seriously though there was an expectation from the first track that the album would be subtlety themed that way but the disappointment was soon tempered as the album unveils its strong deliberate sounds and emotive intent, with life’s circus and the fools of passion and emotion the purpose fuelling the songs. German/Italian born musician/producer Rob Mancini is returning with his solo album after over a decade away from studios and in many ways the limelight in Ireland where he toured the Emerald Isle’s Club scene. 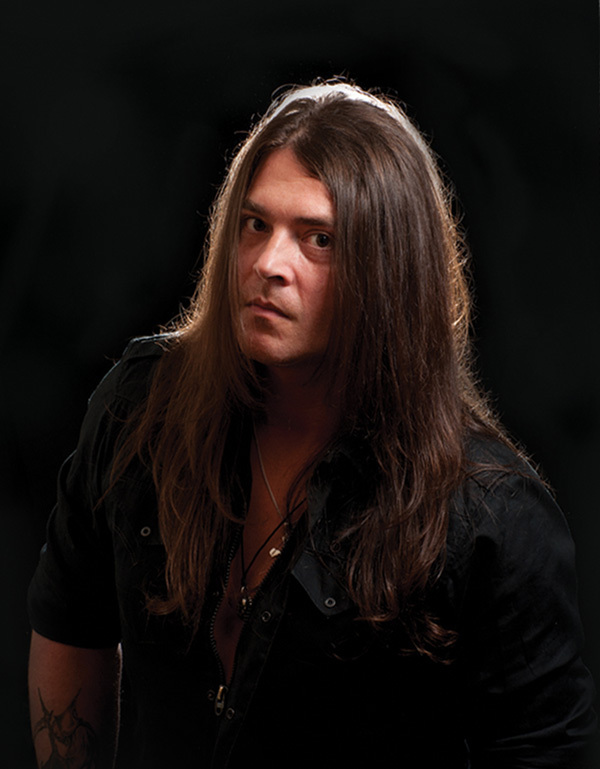 In the mid 90’s Mancini played extensively on the international rock circuit in the bands Hotwire and Crush as well as sharing stages with artists such as Victory, Thunderhead, Dare, and recording several albums before moving to Ireland in 2001 to work as studio and session musician. With the assistance of Aine Mancini on backing vocals Mancini has come back with a true solo release that bursts with guitar driven AOR force and ripples with some sparkling melodic hard rock ingenuity. The music within Rock ‘N’ Roll Circus is a good mix of classic and hard rock with up to date sounds and flavours that sets it apart from many similar genre releases. As mentioned the album is a guitar based collection of songs but which are also spiced liberally with vibrant keyboard sounds and harmonies to bring a rounded feel to the tracks and melodies. Often infectious and thoroughly engaging the album is a release that may slip pass the attention of many but once found will please all hard rock fans deeply. 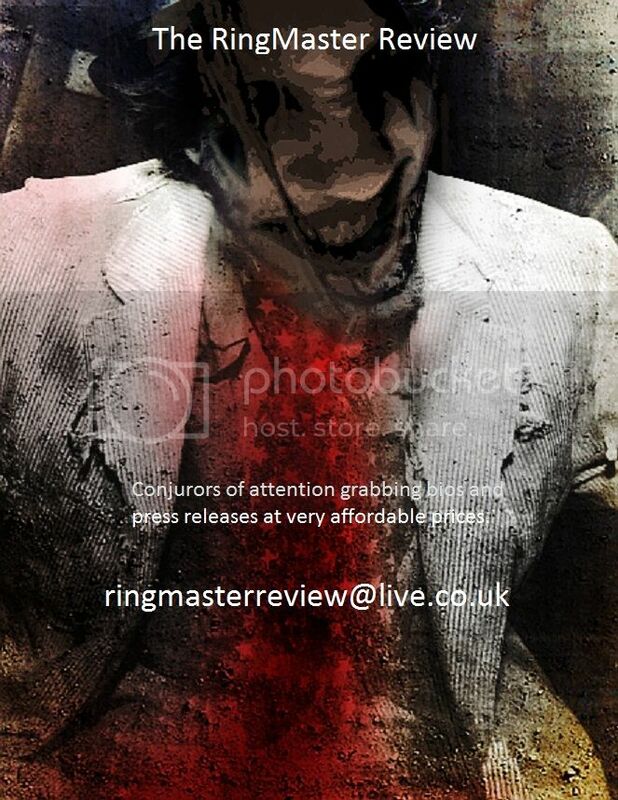 Opening track ‘Carnival Of Fools’ starts on a demented clown chuckle and dark discordant circus sound spiced with sinister intent before slipping immediately into ‘Rock And Roll Circus’. With a sound similar to Italian band Houston! the track throbs with chunky guitars and essential rock urgency. Melodic and beckoning with big hooks and great guitar sounds and solo it still carries the carnival vibe. ‘Edge of a Broken Heart’ comes next marking a change in the album as from here on in the songs ride on a strong eighties sounding power sound and the emotional theme previously mentioned. Though flavoured with those distinct influences and early rock essences, the addition of clean and often indie like creative key spices light up the tracks to make all intriguing and to some extent surprising. The electronic start to the satisfying ’Lay Down The Law’, the undeniable infectious opening riff of the impressive ’Too Late To Die’, and the soulful balladry of ’Time Stops For No One But You’ just three of the varied examples. Rock ‘N’ Roll Circus is a mighty fine rock album and deserves as much attention as possible with tracks that are well written without dipping into indulgence and impressively delivered, even the cover of ‘Running Up That Hill’ by Kate Bush is a very enjoyable and impressive version, Mancini making it his own. Though probably the album is mostly for hard rock fans there is enough within it to engage anyone and for old school rock fans it is a guitar rock festival to embrace. This entry was posted in Album, Music and tagged Classic Rock, Crush, Dare, Hard Rock, Hotwire, RingMaster Review, Rob Mancini, Rock 'N' Roll Circus, Rock N Growl, Thunderhead, Victory.